For all of your interior painting needs in Cary, give our team a call at Prep-Rite Painting. 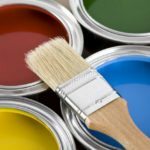 New interior paint is a great way to freshen up any space in your home, but the process may require more preparation and effort than many people realize. If you want your interior painting done beautifully and professionally in Cary, North Carolina, call our team Prep-Rite Painting. Proper preparation is one of the best ways to ensure your paint job is done efficiently and without making a huge mess. Our team pays attention to all the details of preparation, including moving all furniture away from walls and taping edges. Taking care of these small but somewhat tedious tasks allows our team to paint more efficiently and without interruption. After the painting is done, we will make certain to put everything back in its place and remove all of our equipment and materials. We want to make your interior painting job as easy for you as possible, which is why we promise to take care of every aspect of the painting process. At Prep-Rite Painting, we have been serving our customers in the Cary area for over 17 years and have worked to build and maintain professional relationships with each client. Our goal with each interior painting job is to make sure you are completely satisfied with our products and painting services. For all of your interior painting needs, give us a call at Prep-Rite Painting. We will make sure the job is completed efficiently and exactly how you want. Don’t hesitate to call us for an appointment or a free estimate. At Prep-Rite Painting, we offer interior painting services in Apex, Cary, Holly Springs, Fuquay Varina, Chapel Hill, and Raleigh North Carolina.